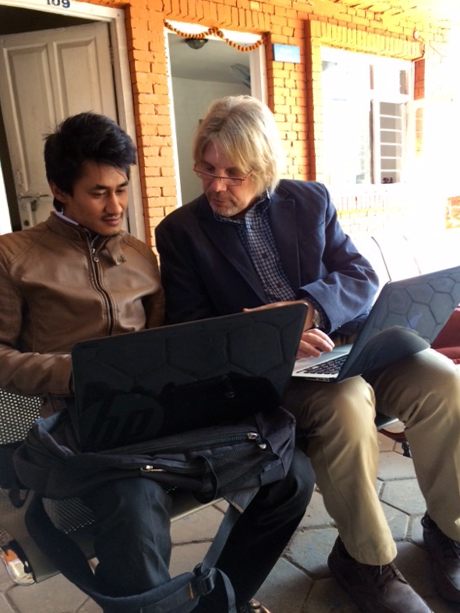 On March 11 2015, three volunteers from EWN spent 1 hour with 25 students and faculty at National College, KTM. This engaged group looked at problems with captive elephants in Nepal, and at problems specifically concerning elephants & mahouts in the Chitwan National Park area. Two EWN volunteers working on the presentation just before kick-off time. The group discussion reveled that almost all students have been to Chitwan National Park, and that most have ridden an elephant on a safari ride. Students came up with some interesting alternatives to the business of elephant safari rides, to include: walkways and viewing towers, tree houses for rent and viewing, and jeep safaris – with one student even suggesting that the jeeps be made to LOOK LIKE elephants 🙂 What a great idea. This 60-minute session seemed to have an impact on all that attended, as half the room signed up to become EWN volunteers and spend time helping us in future campaigns – welcome aboard students! In addition, the general consensus at the closing of the session was that safari elephant riding was not an activity anyone would be doing in the future. 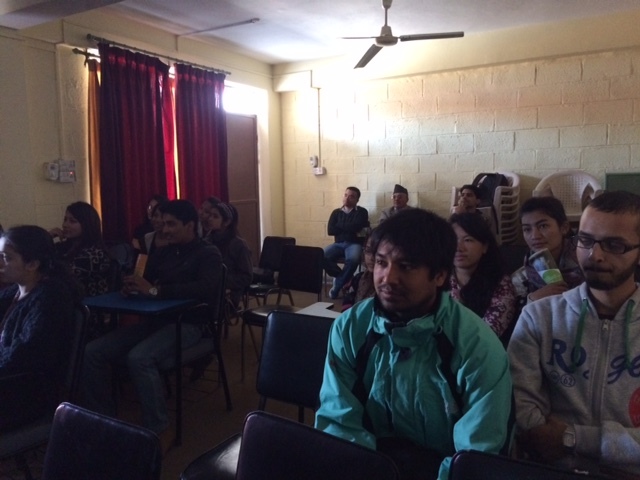 National College students engaged during the session. Great job students, and thank you for your support. This entry was posted in Awareness Raising and tagged animal welfare, booking agent, elephant rides, elephants, Safari rides, tour company, world animal protection. Bookmark the permalink.